Are you a sewer by profession? Or, do you like to stitch as a hobby? Either way, finding the right sewing machine can be a tedious task. In fact, the choice has become even harder now with a lot of options to choose from. Sewing machines are now available in many designs, each with a different set of specifications. So, how do you decide which sewing machine is the one for you? 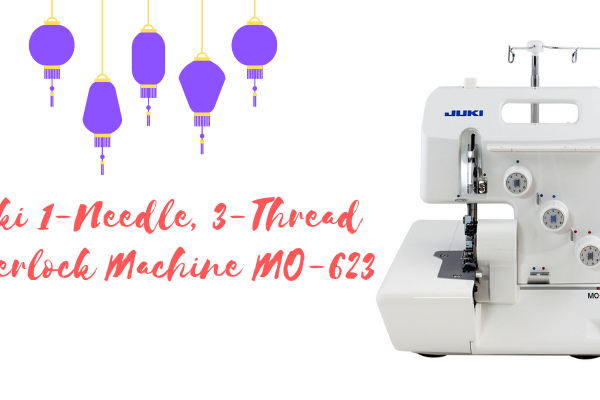 One sewing machine which you can consider is the Juki 1-Needle, 3-Thread Overlock Machine MO-623. With this sewing machine’s high-speed cutting technology. This might be the sewing machine that you are looking for! However, there are some issues related to this particular sewing machine about limited warranties and voltage problems. 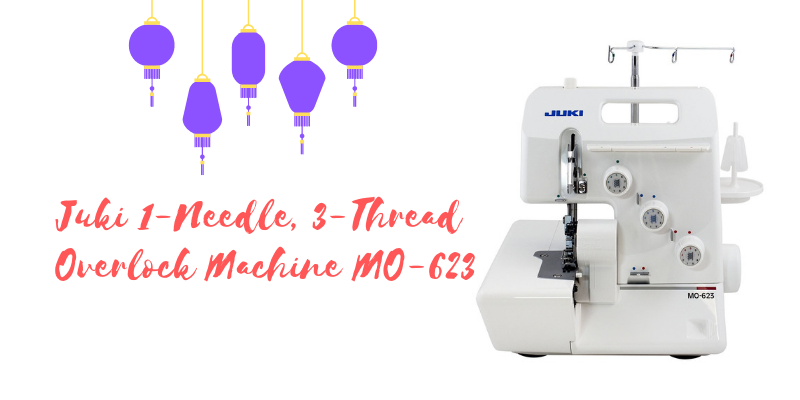 Let’s check out the Juki 1-Needle, 3-Thread Overlock Machine MO-623 review in detail. 8 Where To Buy It? At first glance, the Juki MO-623 seems like a sophisticated machine to use. However, it is an easy-use sewing machine. The machine is white in color with three dials. You can differentiate the dials with their black, blue and red coloring. Thus, its overall look is that of an elegant yet durable machine. The Juki MO-623 is part of Juki’s Garnet Line models. If you’re someone who is new to sewing or even if you are a professional, this machine will serve for both segments. 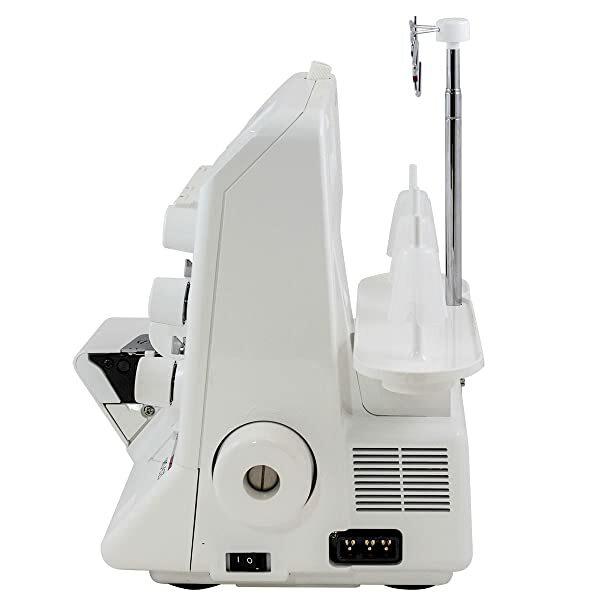 Moreover, this machine runs quietly and smoothly, giving you a perfect hemmed, seamed or stitched result. Moreover, with the Juki MO-623, one can make a number of versatile garments including sportswear, sheers, denim and much more. For over 75 years, Juki Corporation has been one of the leading companies of quality sewing machines in the world. Currently, Juki Corporation supplies 170 nations with their quality sewing machines and all other related equipment and accessories. Moreover, the company earns most of its profits by selling sewing machine. This profit almost amounts to 67% of revenue. Juki has their headquarters in Tokyo, Japan and subsidiary companies spread all across the globe. 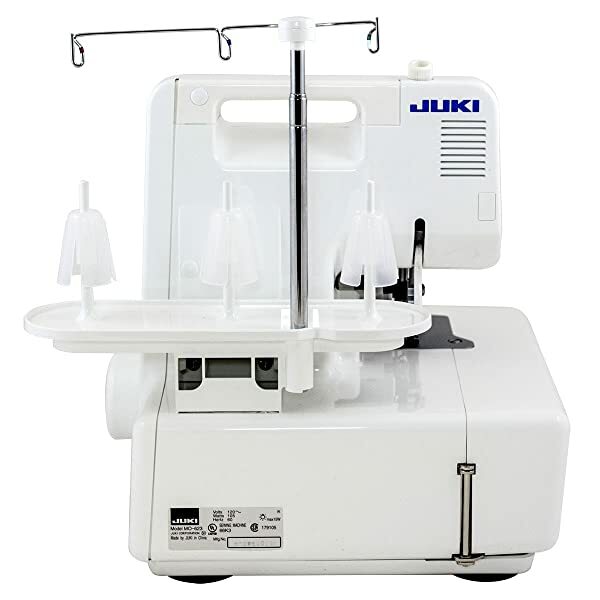 Juki Corporation firmly believes in providing high-quality sewing machine and accessories. Basically, the company’s specialization into sewing machines began in 1947 when they started providing sewing machines for homes. The company then went on to providing sewing machines on a commercial level. Also, Juki Corporation believes in “Mind and Technology.” It thus provides quality sewing machines and matches the products with the customers’ needs and wants. Juki offers a limited warranty of 5 years on this particular sewing machine. For a time period of 2 years from the time of purchase. This warranty covers multiple items. These include the motors, light, assembly, wiring, switches, and speed control. The company only provides warranty for these products. Moreover, for 5 years from the date of purchase,Juki covers in warranty all other parts of the sewing machine. This includes to be free from any and all types of issues and manufacturing problems. However, if during the time of the warranty, any part of the sewing machine or the sewing machine itself is found to be defective, then Juki will either replace the whole sewing machine or repair that particular part within a certain, yet, reasonable amount of time. BUT, the buyer would be liable for any and all labor charges that will pertain to the repairs taking place. This particular sewing machine features an already built-in roll hemmer. You only need to flip the hemming switch, and you are good to go. Thus, this particular feature then eliminates the need for a separate plate or presser foot. Moreover, this also eliminates the need to change the needle foot again and again. A built-in path system in this particular sewing machine helps you to thread it easily. Furthermore, the thread pathway is color-coded, allowing you to easily put in and weave in each thread where it belongs. Also, the thread can easily be fine-tuned by using the color-coded dials, thus, allowing you a smooth stitching experience even at maximum speed. This particular sewing machine features an easy-to-use seam dial. The dial is situated on the outer side of the machine. Now, you can smoothly and easily seam your clothes according to your needs. Although this sewing machine comes with only one presser foot, “all rounder” is the term that would describe it better. This is because it includes overlock stitching. Similarly, elastic, ribbon, sequins, and beads can also be included. You can disengage the knife without hurting yourself. Additionally, a drive also supports the knife. As a result, it allows clean and absolutely smooth cuts to be made on the fabric that you are stitching. Moreover, the knife is compatible on any type or thickness of cloth. Now that we’ve covered the features, let’s have a look at the pros and cons. You can then decide if the pros and significant enough for you to purchase this unit. This particular sewing machine allows for a fast, smooth yet efficient flow of stitches at a speed of 1500 stitches per minute. The adjustable knife allows for large and clean cuts to be made. Moreover, the compatibility of the knife can be on any and all types of fabric type and thickness. Also, the knife is adjustable; thus, you can remove it when you want to. This particular Juki sewing machine features an already built-in rolled hem. Hence, you do not need to change the needle presser or the base plate again and again. 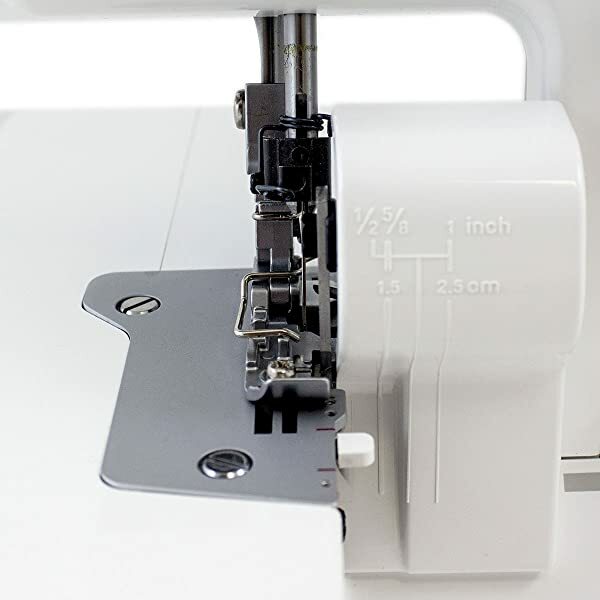 By just turning on the hemming dial, you can hem your fabric according to your required need. Weighing almost 20 pounds, this particular Juki sewing machine is a bit on the heavier side. However, it is not too difficult to move it from one room to the other. The voltage of 110 volts is the limit to this particular Juki sewing machine. Thus, if you are residing outside the United States of America or Canada, you will need to purchase an adapter separately to operate this machine without any problems. The warranty terms and conditions offered by Juki are somewhat stringent. Apart from that, the warranty offered by Juki is also shorter in time duration if you compare it with other competitors. However, then again, the advantages do outweigh the cons. 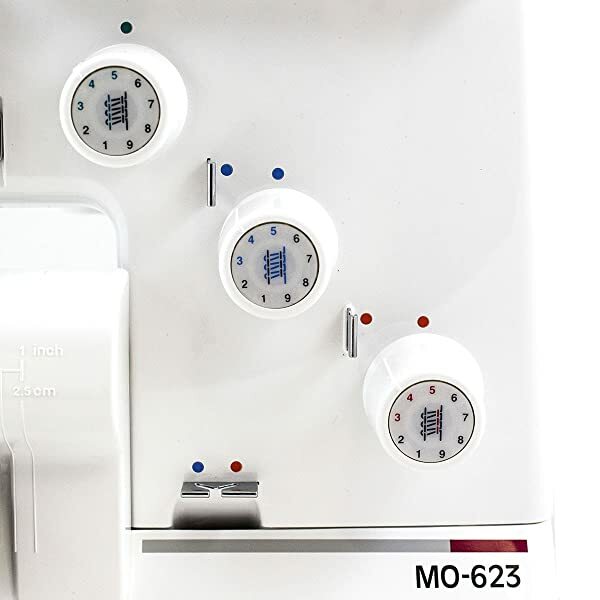 Similarly, you can find the Juki MO-623 on other online stores as well. Plus, given its popularity, you will surely find it in your local home-accessories store. 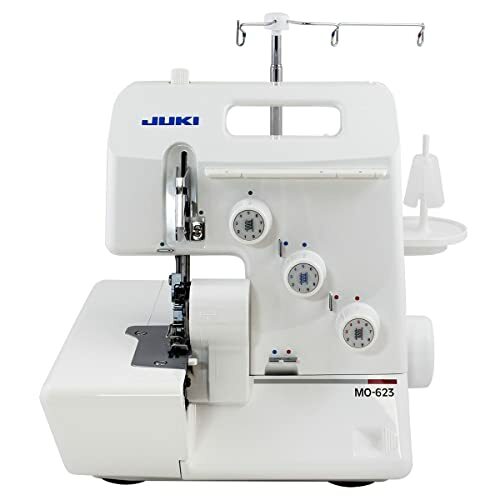 Conclusively, here’s our review on the Juki 1-Needle, 3-Thread Overlock Machine MO-623. 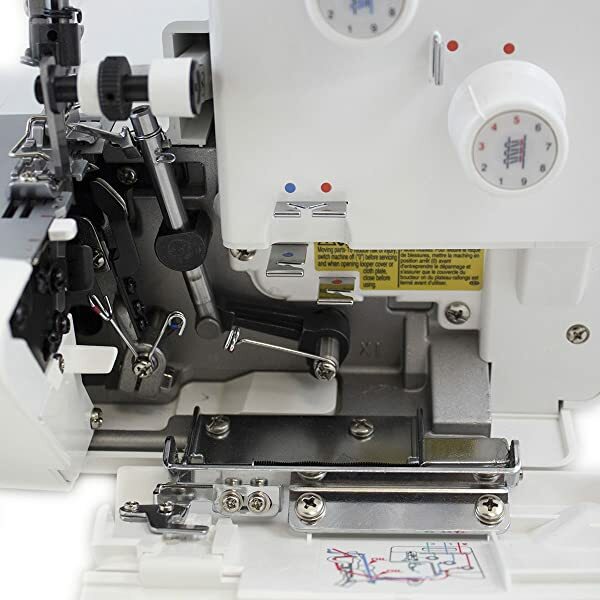 With its high speed of stitching and other features, this might be just the machine for you. It has all the features that can satisfy both beginners and novice sewers. Overall, it seems to be a good choice!